UPDATE: the man got the job. This police officer went above and beyond the call of duty so he could help a needy citizen get back on his feet. 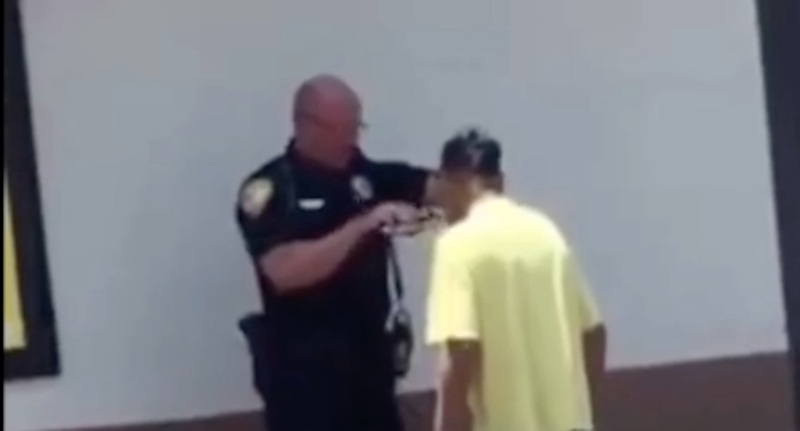 A woman had been sitting in her car earlier this week when she saw Officer Carlson of the Tallahassee Police Department in Florida shaving a man’s beard outside of a gas station. After he was finished, the homeless man left and the police officer went inside the gas station. Curious about the strange interaction, the woman went inside the gas station, offered to buy Carlson a drink, and asked him why he was shaving a man’s beard. Carlson said that the homeless man had been talking to McDonald’s staff members when they told him he would not be allowed to start working at the restaurant until he shaved his beard. The officer then grabbed some clippers, and offered to help shave the man’s beard right there in the parking lot. When he was finished, the homeless man went back to the McDonald’s to lock down the job. The woman was so impressed by the officer’s kindness, she and her mother sent a video of Carlson and the homeless man to the Tallahassee Police Department where they expressed appreciation for the compassionate act.